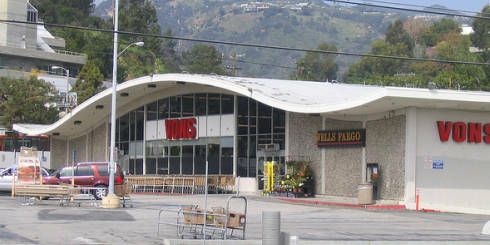 What is interesting about old supermarkets? As suppliers of a crucial commodity—food—they're edifices of a community often taken for granted. There's more variance in size, location, and features than one might expect. Stores often follow distinctive architectural styles per their respective chains' conventions, and their interiors often make my "graphic design" inclinations perc up. They're impossible to separate from local history. Nostalgia plays a hand as well, but that's only to be expected.